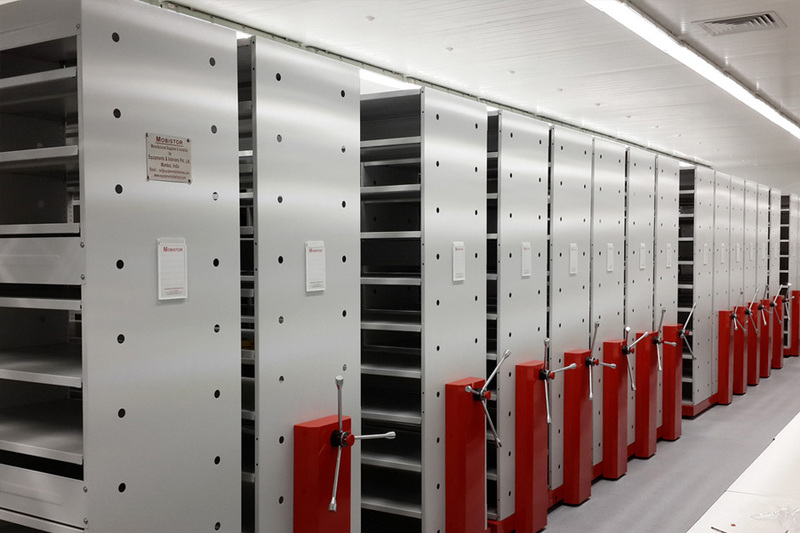 Compactor shelving system is the most ideal & latest concept in storae system.It provides means to efficient record storage & retrieval Management.It is specially designed to modern age demands for high density storage within the limited space. As the shelving moves along the rail tracks, the space for only one aisle is needed. When a document or an article is required an aisle for entry is created by moving the mobile shelving apart. 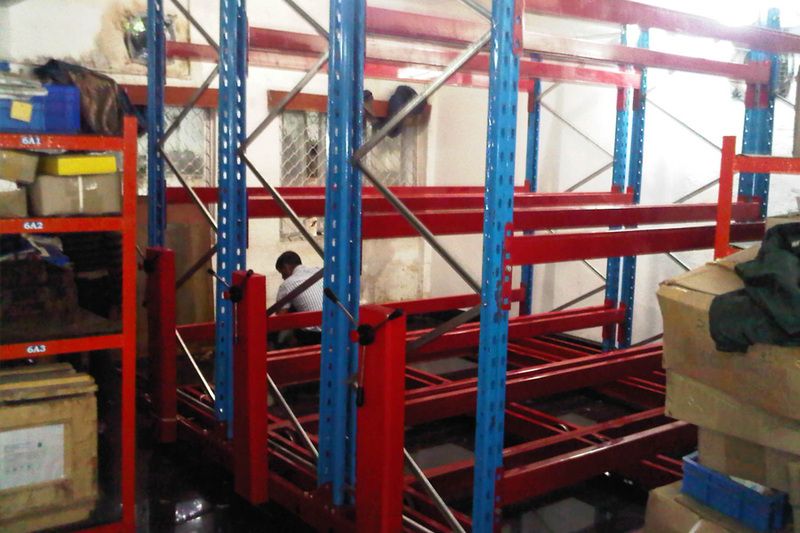 Movable Racks Shelving Storage System are used to store all types of goods, materials. 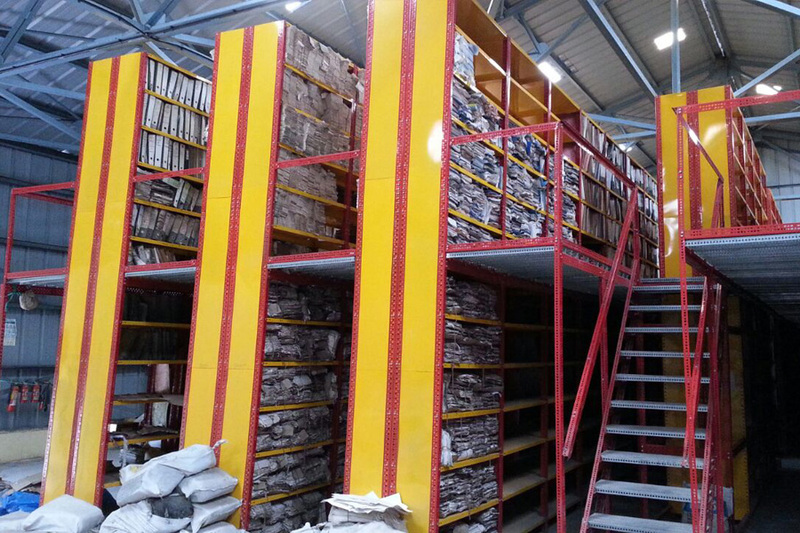 We are offering a best quality range of Mobile Material Storage Racks in the market. Our each and every range are completely tested on each level of production to protect the range from every kind of defects. These are made in such a way that they meet the specific preferences of our clients. Apart from this, these range are given at market justified prices.This Compactors Mobile storage system is used as optimizers for full use of available storage space. 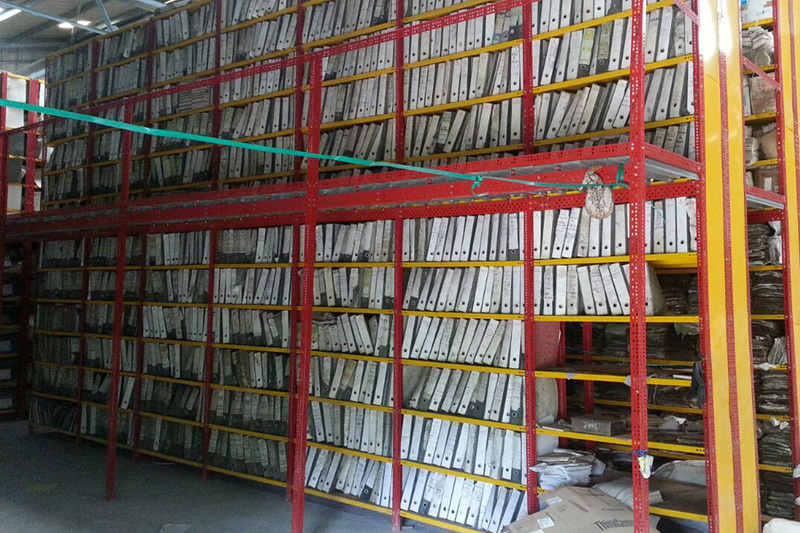 These are movable racks also called as Mobile Shelving & are mainly used for Record / Document storage in Libraries for Archives storage, in Offices for file storage, in Hospitals for Medical records & Medicine storage, Pharmaceutical Companies for raw materials, Educational Institutes for storing Books, Periodicals. 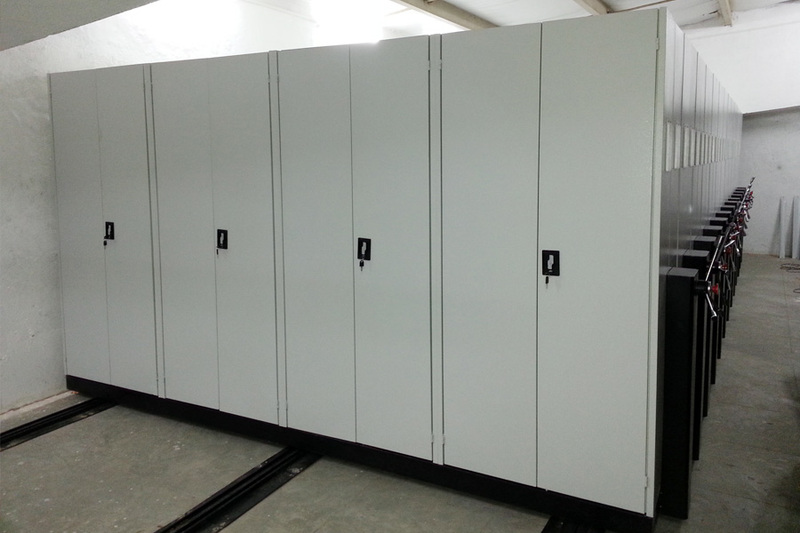 This Compactors Mobile storage system is used as optimizers for full use of available storage space. 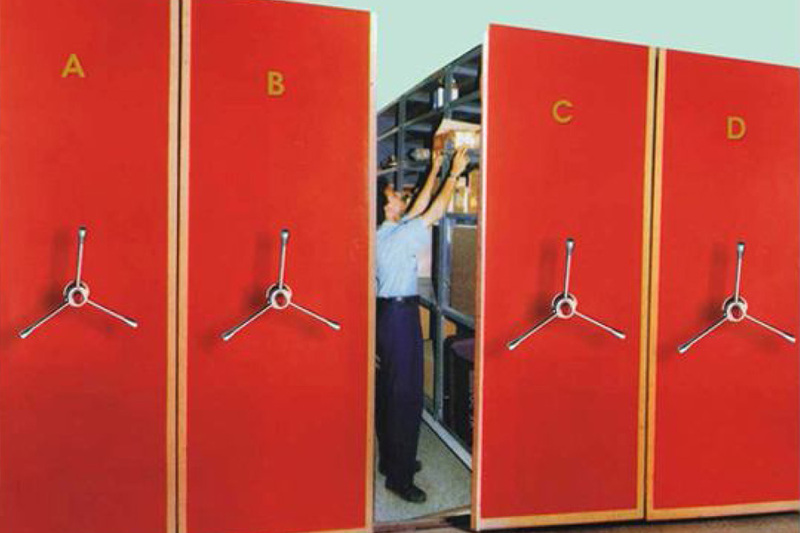 These are movable racks also called as Mobile Shelving & are mainly used for Record / Document storage in Libraries for Archives storage, in Offices for file storage, in Hospitals for Medical records & Medicine storage, Pharmaceutical Companies for raw materials, Educational Institutes for storing Books, Periodicals. 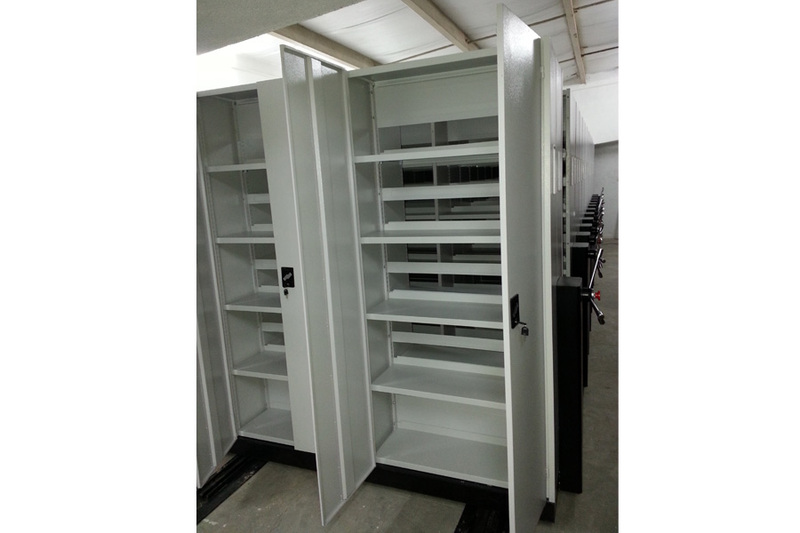 We are one of the leading manufacturers, suppliers and exporters of Library Storage Racks. The offered library storage racks are very commonly used for storing books, files, documents and folders. 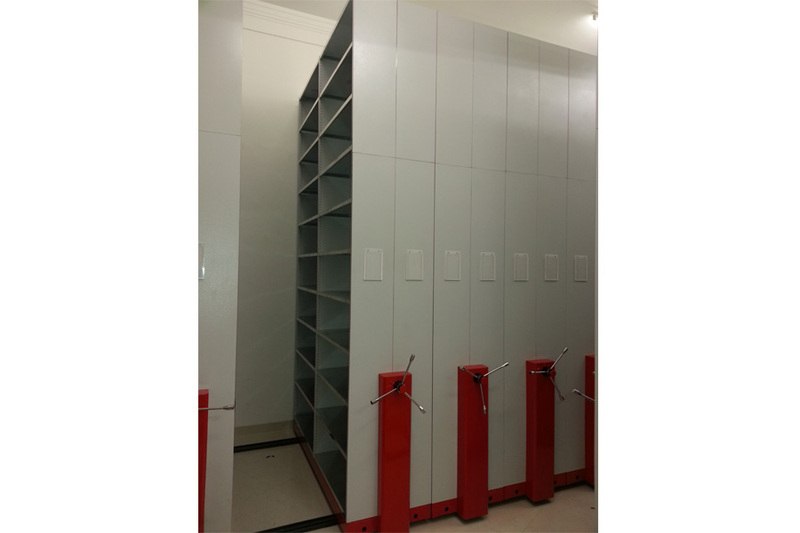 Our supplied library storage racks can be easily moved, without needing any re-assembling task. 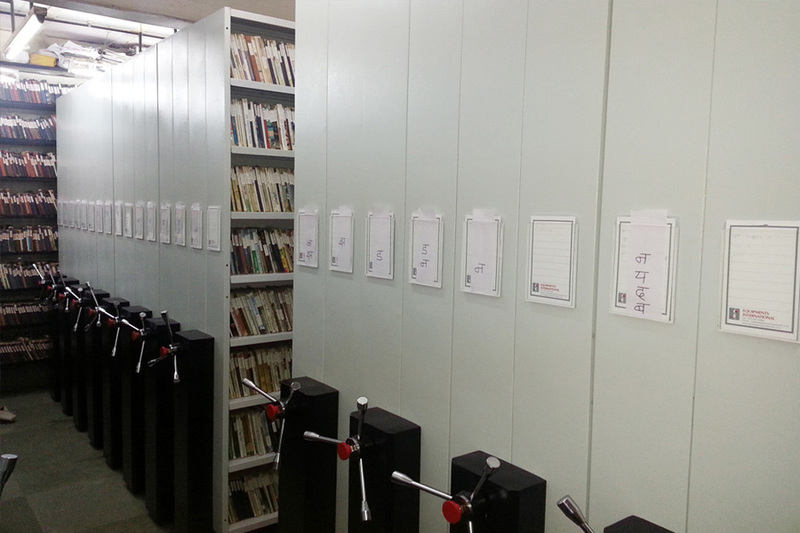 The offered library storage racks are available at very affordable market selling rates. Our offered products are available in the market under the reputed brand name of "MOBISTOR". We are one the well-known manufacturers, suppliers and exporters of Mobile Shelving System for Office Record. 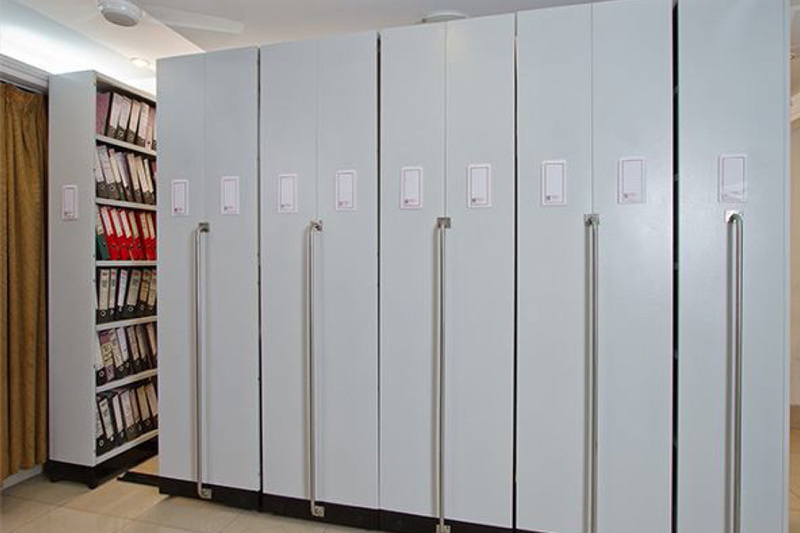 The offered mobile shelving system for office records are uniquely designed and fabricated for the storage of official documents and records. 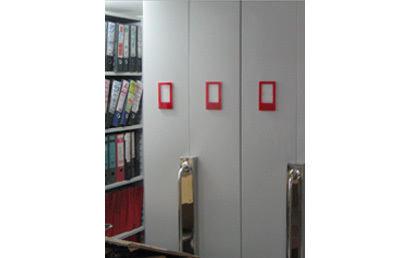 Our supplied mobile shelving system for office records is available at very affordable rates. Our offered products are available in the market under the reputed brand name of "MOBISTOR". Raw materials, in the form of drums, cartons, etc. These are light duty Compactors having a long & elegant SS Handle, which is Pulled & Pushed by hand, needing no mechanical drive. 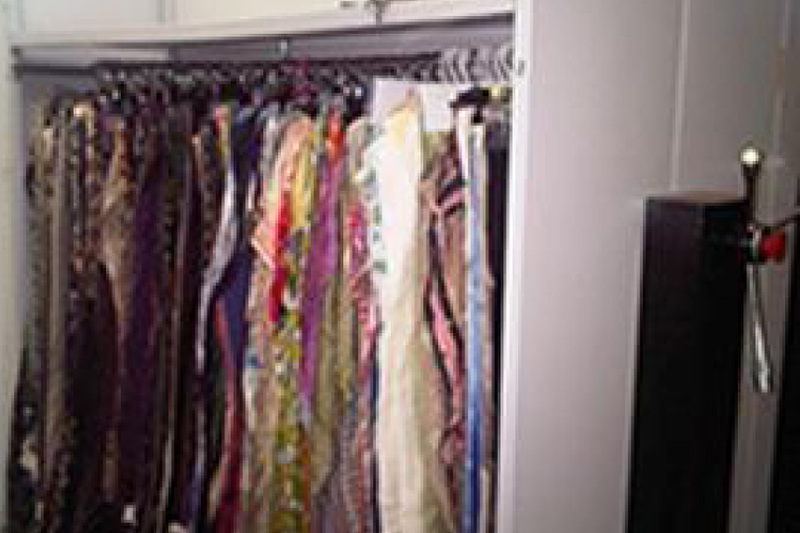 They are best used in passages to create additional storage. The span oof this system is limited to 5'0" & loads upto 500 Kgs. UDL. A pallet rack mover is a device that makes it possible to move pallet rack without demo or the re-assembly of the storage system. They are designed to move the entire rack assembly as one unit rather than individual pieces, saving valuable labour costs. 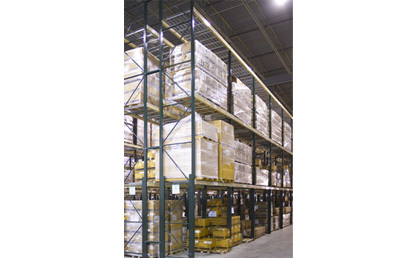 Pallet rack movers are typically separated into different classes depending on the weight capacity of the mover. Regular or light duty movers are made from a variety of materials such as formed plastic or steel with light to medium duty caster. Light duty movers have a weight capacity reaching 5,000 lbs. per mover. In contrast, the heavy duty mover's weight capacity reaches 12,000 lbs. and are made of steel and heavy duty casters. This moving system uses half the labour required to move any storage system from point A to point B within a warehouse or distribution centre. Facility downtime is also reduced dramatically when using pallet rack movers by moving the storage system still loaded with the stored material or product. II tier Racking system is a raised storage area, or tiered storage structure as it is most commonly known, is a raised platform rack or shelf mounted structure independent of the host building structure. 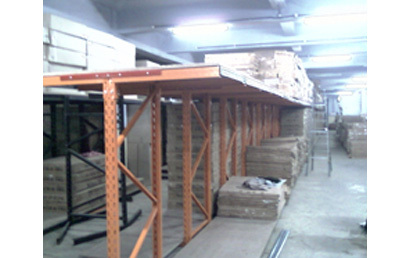 It is supported by either pallet racking or shelving to eliminate the need for a structural floor. 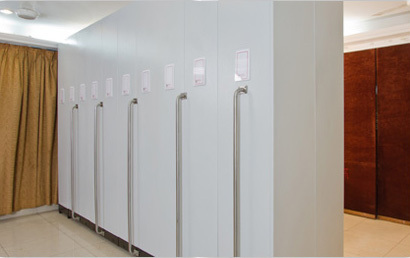 It increases floor space and optimises storage capacity by using the height of the building. 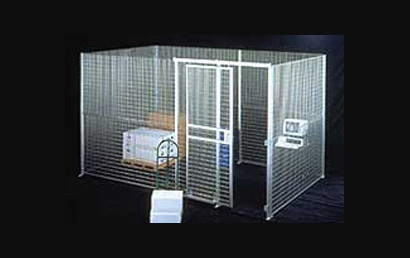 Secure cages have been designed to provide secure areas within warehouses, bonded stores, server rooms etc.. 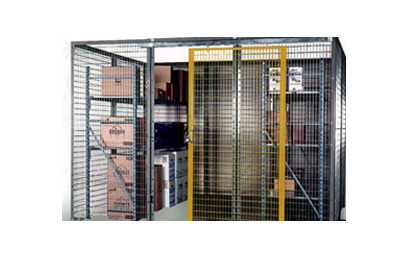 Constructed from steel mesh with 53% free space these cages provide security for high value or confidential items, whilst allowing visibility into and air flow through the secure area. These are really quick to install, slotted angle racking system is used on a large scale in a multitude of corporations. 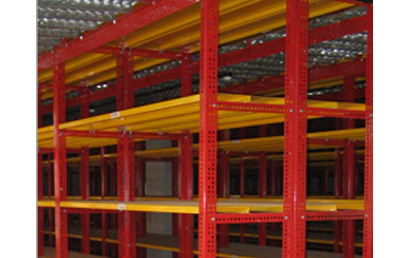 This racking system helps to minimize the store place & cost. It is well known for its strength & durability. 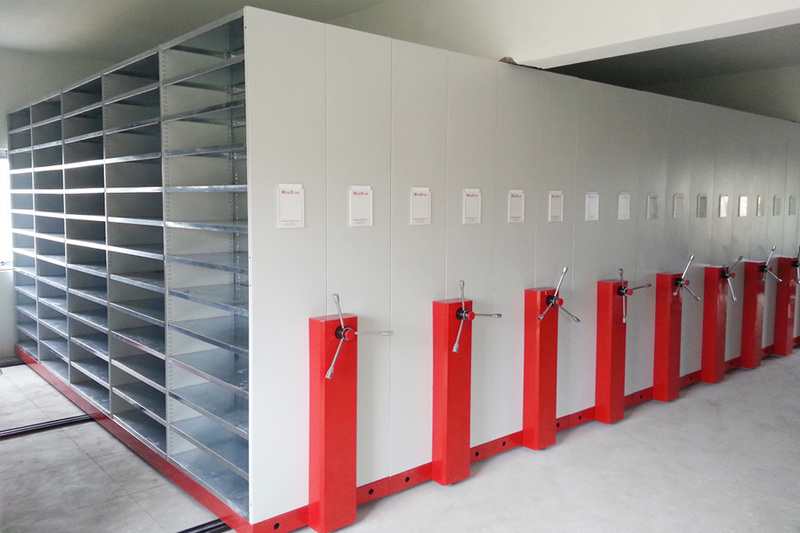 Our continuous endeavor is giving storage solutions to customers for their various storage needs. Specialized storage systems are the answer to that. 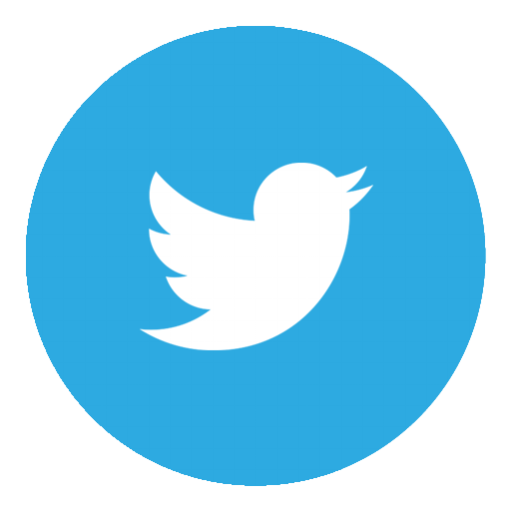 Here the type of product & the operational needs of the customer are understood & a custom-made solution is given. 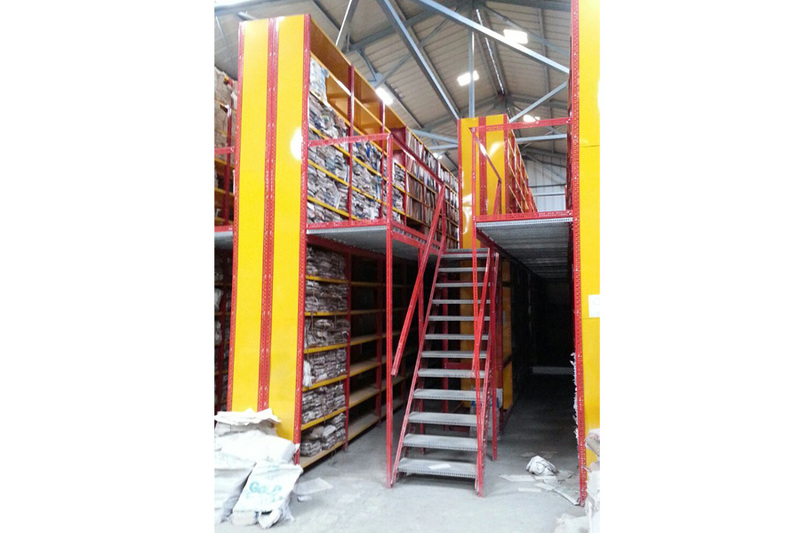 Cantilever racking system solution was give to a retailing furniture company at there warehouse. The customer had various sizes & shapes of furniture, like sofas, chairs, dining tables, sanitary wares, etc, which cannot be palletized. 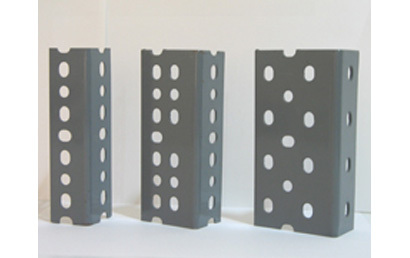 Hence Cantilever racking giving an unobstructed (no in-between columns) continuous space is created. 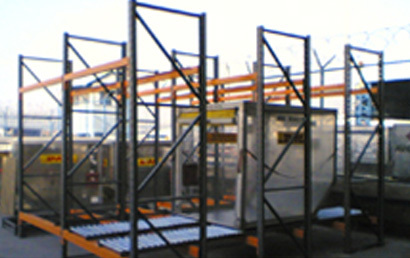 Roller racking solution was given to an In-bound & Out-bound Logistic company for keeping aircraft containers, empty & filled. The company is receiving & sending a lot of these containers everyday & because of its size, storing was a major constraint. 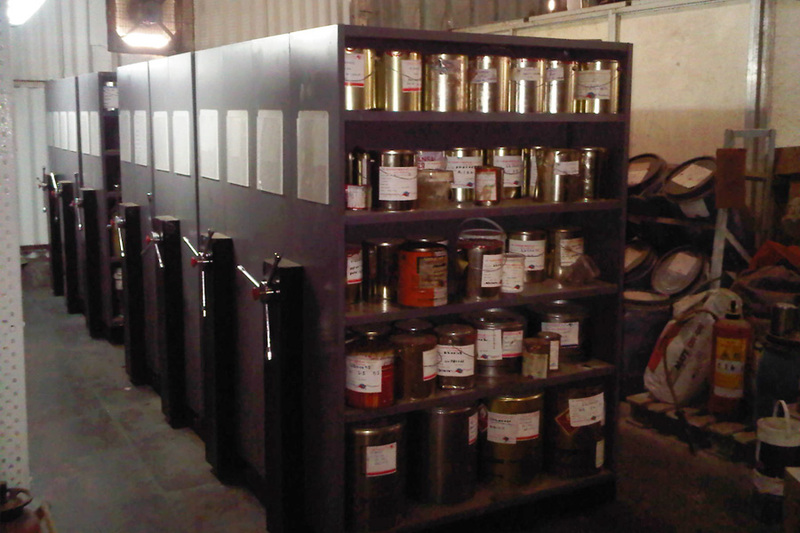 Our Roller racking made it convenient to store double deep & generate extra space for handling of the containers.